In our drive towards perfection, we often seek for impossible dreams that lead to unending conflict of the soul. Taro Gold's "Living Wabi Sabi" is filled with ways we can escape this cycle of disappointment. Quotes are interspersed with personal recollections of his grandmother's teachings. Art mingles with quotes and the pages are of a high quality and shaded with natural earth tones. Not only will this book last a long time, it is perfect to give as a gift. 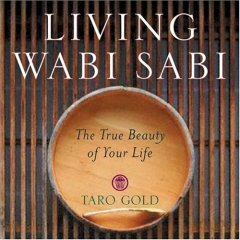 Taro's thoughts are beautiful gifts filled with wisdom and the secrets of Wabi Sabi living. While life is filled with uncertainties, at least we can ponder how we will deal with uncertainty itself. Through humorous recollections about cooking or Taro's experience with electricity we learn deep spiritual truths. He discusses the birth of stars, how joy is the ultimate goal in life and how his grandmother taught him to develop inner character so he could contribute goodness to the world. He also discusses interesting facts about Walt Disney and how he was fired from his first job for "lack of imagination." There are a few other humorous examples of how life seemed to take a wrong turn, all while leading the participants right to the height of their success. If you have been reading all the books by Taro Gold, you may be interested in reading more about Taro Gold and in this book, you can enjoy reading a bit about Taro's family history. This is a very personal book and I found it to be the most healing and comforting of all the books by Taro Gold. 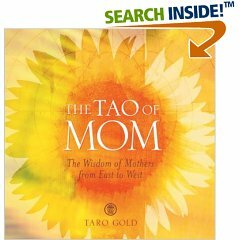 There are life-changing principles in Taro's book that can be incorporated into any spiritual tradition or lifestyle. Taro Gold has spent much of his life living overseas. He has traveled to over thirty countries and has lived in Australia, Spain and Japan. This is the second book and larger edition of “Open Your Mind, Open Your Life.” The author has also written extensively for international Buddhist publications and is currently living in California. Quotes have always intrigued me because they contain condensed wisdom. In just a few words of a good quote, you see the big picture or universal truth. This is a collection of Eastern Wisdom and contains quotes by Buddhist and Eastern thinkers such as Nichiren, Lao Tzu, Confucius, and Mahatma Gandhi. Taro sees these quotes as “guideposts.” He believes in having an open mind and in illuminating your life’s path with wisdom from great thinkers. An Iris represents Faith, Hope, Wisdom and Valor. Not only is the cover beautiful and filled with flowers, the entire books is beautifully illustrated in an ornate fashion. Almost every page has a beautiful border and then the quotes are in black ink and easy to read on white paper. Some of the quotes do not have sources and are probably sayings passed down through many generations. These include Japanese, Buddhist and Chinese proverbs. This beautiful mini-book will have me contemplating “thoughts” for a long time! An enjoyable collection of quotes to reflect on in moments when you want to think more deeply about life and your own journey to lasting happiness. A book you will love adding to your inspirational quote-book collection. For years, Taro Gold was the recipient of journals given to him by his mother each New Year's Day. From these journals, Taro has selected 365 of his favorite quotations. He also includes biographical notes about each quote contributor. I was captivated by quotes by Madame Chiang Kai-shek, Sei Shonagon, Patricia Clafford, Rosa Parks, Humishuma and Lady Murasaki Shikibu. Many of the quotes are exclusive to this collection. Taro has included wise quotes from his mother and wise women in his extended family tree. There are quotes filled with humor and profound quotes filled with wisdom. I especially enjoyed the quotes by Great-Grandma Edi and Taro's Mom. Great Aunt Iko explores the idea of expectation and Aunt Kimiko defines adulthood in a creative way. Taro Gold has spent much of his life living overseas. 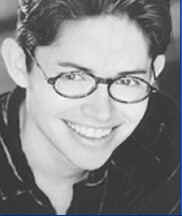 He has been successful as an author, children's counselor, teacher, interpreter, actor, singer and songwriter. He has traveled to over thirty countries and has lived in Australia, Spain and Japan. He has also written extensively for international Buddhist publications. Taro Gold's books are well worth collecting and make the perfect gifts for any occasion. They are universal in their appeal and always bring moments of enlightenment to your life. The art and patterned pages also add to this books visual appeal. "What is Love?" is inspired by the universal principles of Buddhism. When we learn to be at peace with ourselves, we can spread this peace to the world. Unconditional love truly can heal the world. In a similar way that music unites us, love is what we need to unite the world. Hate destroys while love nurtures. I have found that there is a point at which the pain of life dissolves into the bliss of love. This tiny book explores the topic of "Love" in 80 exquisite pages. "What is Love?" is filled with inspirational quotes, watercolors and Taro's wisdom. There are swirling goldfish, flowers clinging delicately to the edge of pages, pots of orchids, birds perched on bamboo leaves and cherry trees, and a variety of creatively patterned pages. 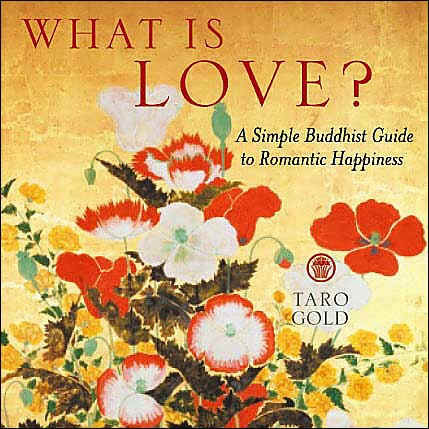 Part One: Love and Illusion - Taro introduces a variety of interesting ideas and explains how in early Buddhist teachings, romantic love is seen as unstable while compassionate love is seen as limitless. He truly starts to delve into the meaning of love and explains why love as an illusion will disappear as fast as it appeared. I loved the humorous ending to the "Zuri" story that is almost as funny as the quote by Woody Allen, which just spins your mind. "Needy Love" is not often discussed and this is the first time I've seen an author explain this aspect of love in such a concise manner. Taro explains why "needy love" is ultimately unfulfilling. "Moments of temporary insanity" - I can relate to this. Part Two: Love and Reality - Taro's writing is filled with creativity and speaks directly to the heart. He explains relationships through the retelling of an ancient Japanese comedic tale. Taro then explores change, the three main types of love, self-mastery and "meeting your soul mate." This book makes complete sense although the issue of greater and lesser worlds was a new concept to me. Who would not want to reach the place of "Enlightened, altruistic, unshakable happiness." Page 50 is just powerful. The entire section on enlightenment makes the concept very easy to understand. Most books do not reach this depth, nor do they make enlightenment quite so attainable. Taro takes mysterious topics and transforms then into everyday wisdom. Part Three: Love and Life - Taro's thoughts continue to create a connection between the quotes and his experience with Buddhist wisdom. The quotes are not all Eastern and you will find quotes from Judith Viorst, Alfred, Lord Tennyson and even Victor Hugo. He explores the topics of loyalty, romance, commitment and karma. The story of how we become mirrors in relationships is so true. Taro Gold has spent much of his life living overseas. He has been successful as an author, children's counselor, teacher, interpreter, actor, singer and songwriter. He has traveled to over thirty countries and has lived in Australia, Spain and Japan. He has also written extensively for international Buddhist publications and his books have been published in seven languages. I find Taro's choice of art for the covers to be quite intriguing. His message is definitely "peace and hope" for a better world. "What Is Love?" is a gift for our hearts and this book is much more than a book of quotes. It is a journey into the true meaning of love in all its forms. You will we see a picture of the type of love you feel reflected in the pages. You will also see images of love you will want to emulate in their fullest forms. "What is Love?" is a true combination of Buddhist wisdom and real-life experience. Taro Gold's books are well worth collecting and make the perfect gifts for any occasion. They are universal in their appeal and always bring moments of enlightenment to your life.